1 - Introduction & The Lowdown 2 - Recent Steam Updates 3 - Cheating 4 - What do the professionals think? 5 - What's next? Counter-Strike has, for a long time, been king of the online first-person shooter. The professionals play it, the masses adore it and yet the world of CS is not as rosey on the inside as it would like you to believe. Rather than going from strength to strength with the release of Counter-Strike: Source (CS:S) the community has been divided, some preferring the newer physics and graphical glamour of CS:S, whilst many others stick with the original, pure game. The state of Counter-Strike, therefore, is one of balance and with this article we aim to uncover exactly what the future holds for the 'greatest' multiplayer fragfest. Prepare to be taken on a journey through CS's recent history, as well as a look at the recent changes and the new direction developers are taking with the game. I'll look at the cheating community to see if they still pose as big a nuisance now as they did a few years ago, as well as hear the views of some of the professional CS players – can being a pro-gamer really be a secure job? For those who don't know much about Counter-Strike allow me to give you a quick lesson. 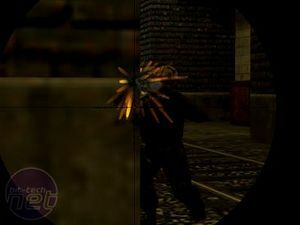 In 1999 two bedroom developers (known as Cliffe and Goose) decided to make an online multiplayer team-based shooter modification for Half-Life. 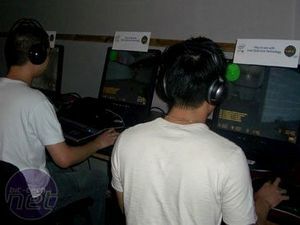 It was a perfect time to release an online multiplayer game, with internet access becoming more widespread and home PC's having enough power to play games, people were itching to get into some online FPS action. Counter-Strike filled the niche perfectly, and became a cult classic over the course of a few months. The success paid off when Valve decided to buy the rights to the game. It soon became an official, off the shelf release and Counter-Strike's popularity sky rocketed. With the influx of new players came an increase in competition. Unsurprisingly, it was about this time that the Cyberathlete Professional League began to grow in size, giving out hundreds of thousands of dollars worth of prize money to the best CS gamers in the world. 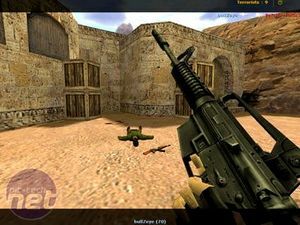 By 2001 CS was not only the most popular FPS on the web, it also had the largest amounts of prize money. A few years on though and, as with everything in the world of gaming and technology, things had moved on. 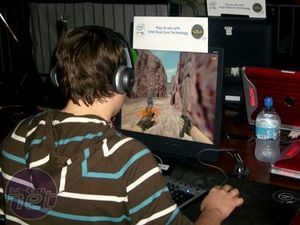 Yet CS remains as the undisputed most popular game. 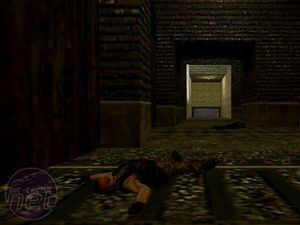 Pretenders to the throne appeared but made little inroads; games like Unreal Tournament 2003, Battlefield 1942 and countless other Half-Life mods tried to muscle their way into the limelight and failed. People were happy with Counter-Strike, it ran on even the lowliest PC, was balanced, fun and challenging. Valve must have been sitting smugly watching as competitors failed to make headway, chuckling to themselves as they nurtured, developed, tweaked and tinkered with their upcoming baby: Steam. The plan was pretty simple. Valve design a new engine, take the successful game from the old engine, tart it up with some nice new features and end up with a stonking new game that everyone plays. However, things are never quite that simple, especially when trying to coerce the mob. Some of the gamers moved across to Source, many remained at 1.6 and so you have the situation that faces Valve now – how do you get CS'ers onto Source without alienating them? The biggest problem for many CS'ers is the fact that Valve has decided to tinker with the old maps. Maps like de_dust2 have had slight adjustments made to make things look that little bit more aesthetically pleasing. However, these small adjustments have large ramifications, changing timings and ultimately the balance of the map. Beautiful looking games are no good to gamers who are looking for the ultimate in the online experience - balanced play is paramount. The creator of Counter-Strike has rejected plans to make CS2 and announced a new game, Tactical Intervention.